The World Cup was originally an invitational event for 16 of the world's top players. But who qualifies for this prestigious event now? The World Cup first took place in Hong Kong in August 1980 as an experimental event, but it was so successful that it's been contested every year since. You can find a list of the previous winners below. Separate tournaments are now staged for men and women, but the women's event only started in 1996, 16 years after the first Men's World Cup. Note: The Team World Cup is a separate event, and has been played on 11 occasions between 1990 and 2018. See table below. The World Cup started as an invitational event and was initially for 16 of the World's top players, but in 2009 there was a slight change of format and the number of players invited was increased to 19. Then, in 2013, the rules were amended again and the number of players was increased to 20 and the competition became one where most of the players qualified via Continental Cup competitions rather than just an invitation. The rules relating to which players take part in the World Cup, and the playing format, have changed recently so let's take a quick look at the changes. When the Men's World Cup started in 1980 it was for 16 selected players only. Additionally, not more than two players from any Association could participate unless a third was invited as a "wild card" selection. The playing format was initially a round-robin event with four groups of four players. The top two players from each group progressed into the quarter-finals which was played on a knock-out basis. The losing semi-finalists also played a match to determine third place. With effect from 2009, three additional players were invited to participate, and so the playing format was also changed. But, there could still not be more than 2 players from an Association, unless a third was invited as a "wild card" selection. With the addition of three extra players, the playing format was also amended. 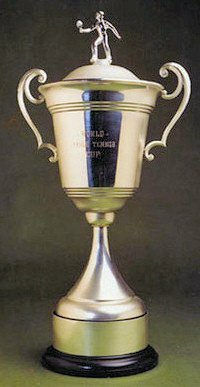 An "Intercontinental Cup" was introduced and served as a preliminary/qualifying round for the four continental representatives from Africa, Latin America, North America and Oceania. This was played on a group (round-robin) basis with the winner of the "Intercontinental Cup" promoted to the next stage of the event. The final 16 players then competed in four groups of four players, on a round-robin basis, with the group winners and runners-up progressing into the quarter-finals which was played on a knock-out basis. The losing semi-finalists also played a match to determine third place. But with effect from 2013 the event changed from being an invitational event towards an event where most of the players qualified via Continental Cups or equivalent type of tournaments. The rules also state that not more than two players from any Association can participate, but for 2013 only, a third player could be invited as a "wild card" selection. With the addition of an extra player, the playing format was again amended further. The World Cup is now played in three stages, with all matches being the best of seven games. In stage 1, the 12 players who are the lowest-ranked of the 20 players taking part are divided into four preliminary groups of three players each, with all playing each other (round-robin) in their group. The winners of each preliminary group then join the top 8 seeded players in the second stage of the competition. In stage 2, the top 8 seeded players plus the 4 winners of the preliminary groups are divided into 4 groups of 3 players each, with all the members of a group playing each other (round-robin). The top two finishers from each group then advance to the quarter-final stage of the competition. The third and final stage is a knock-out competition, and the losers of the semi-finals also play each other to determine third place. If the World Champion and the World Cup title holder is the same player, or the host Association has a player qualified as title holder or from the World Ranking, the available invitation place goes to the next highest eligible player on the World Ranking List. If the World Champion is not available or withdraws, he will be replaced by the remaining highest ranked and highest finisher from the Continental Cups. If the host association player is not available or withdraws, he will be replaced by another host association player nominated by the host association. 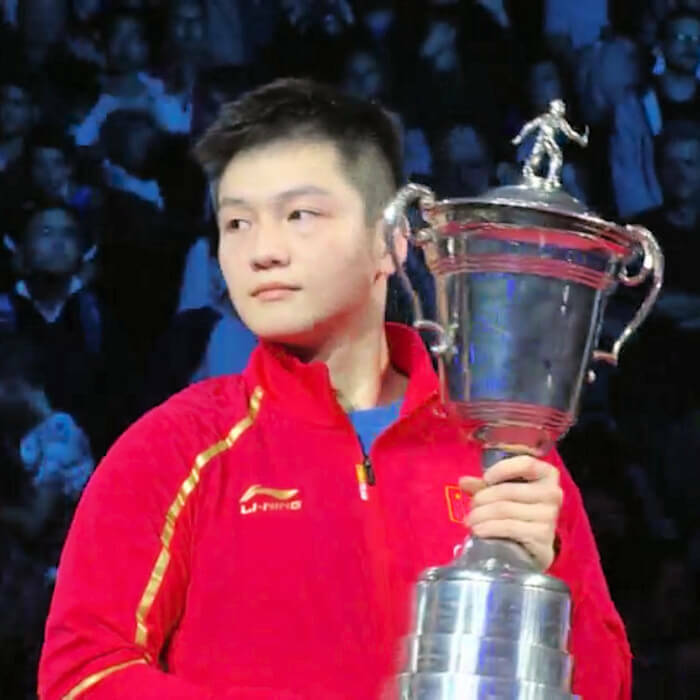 If the Wild Card player is not available or withdraws, he will be replaced by another Wild Card player selected by the ITTF. If any other player is not available or withdraws, he will be replaced by the remaining highest ranked and highest finisher from the Continental Cups. Any substitutions after the entry closing date will be decided by the ITTF. So when and where are the 2019 World Cups? The 2019 Men's World Cup will be from 25-27 October in Chengdu, China. The 2019 Women's World Cup will be from 18-20 October in Chengdu, China. The 2019 Team World Cup will be held in Tokyo, Japan from 6-10 November.